services, or trade privately for hedge funds. In this how-to guide, Augen explains the opportunity, and shows exactly how to take advantage of it. 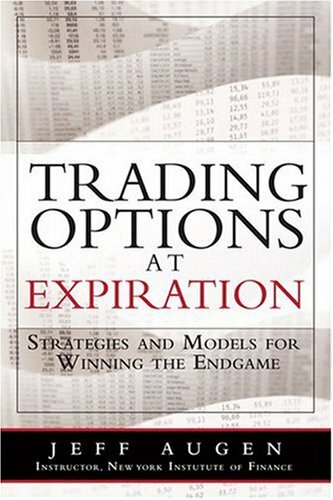 You'll learn why traditional option pricing calculations, based on volatility and time decay, break down when options are about to expire. Augen explains why this inevitably leads options to be mispriced during the final few days. Next, he shows exactly how to exploit this situation, by structuring positions that take advantage of these price distortions to deliver outstanding profits with very little risk. Augen's strategies are direction-neutral: they don't rely on your ability to pick stocks. Best of all, Augen's trades return anywhere from 40% at the conservative end to 300% at the high end, all for one day of investing per month.